I have always been fascinated by the skill and draughtmanship in painting. I was inspired very early on by the dramatic use of light in the work of Rembrandt and in the paintings of Caravaggio, all of which have had a huge effect on me and have stayed with me to the present day, and by Velasquez’s figures. I also greatly admire Vermeer, for the atmospheric and domestic settings he portrayed, and Andrew Wyeth, particularly for the intimacy he achieved in his Helga series. In my own work, I place great emphasis on execution. Lighting is especially important. I tend to paint in many layers to build up the glow of light and depth I require to create atmosphere and mood. My paintings, which focus on the female form, are glimpses of a simple, everyday intimacy. I am interested in capturing that fleeting time when a person is unaware of being observed—there is something very honest and private about that moment. I also aim to portray a sense of ambiguity, to evoke emotional connection with each model, so that viewers might arrive at their own conclusions. 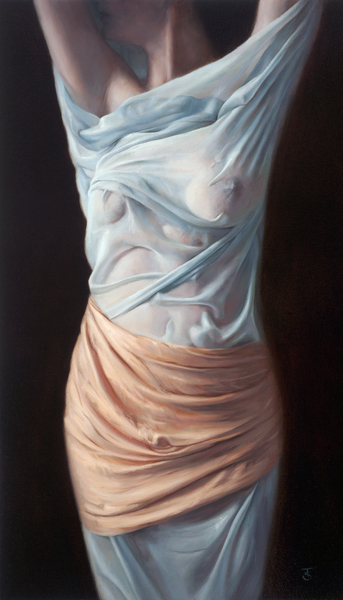 Fabric, its multiplicity of textures and varieties of colors so inspiring when placed against the skin, is a common element of all my work; not only does it present endless challenges to paint but it also is useful as a vehicle to further express the mood of my model. I use a variety of techniques in my painting, including glazing, which enables me to bring out amazing colors and depth, although I slightly vary my approach to each painting, depending on what I feel the painting requires. I am forever challenging myself to develop my painting skills further, and I continue to explore my subject. Tina Spratt was born in Somerset, England, in 1976. Early on she showed a flair for drawing, in which she’s always been interested, and her talent flourished throughout her school years. After completing A-level art studies and having developed a keen interest in life drawing, which sparked her passion for the human form, she made the obvious choice to go to art school. Reflecting a skilled hand and careful attention to detail, Tina Spratt’s paintings demonstrate a style that could only have been achieved after years of experimentation with color, texture, and perspective. 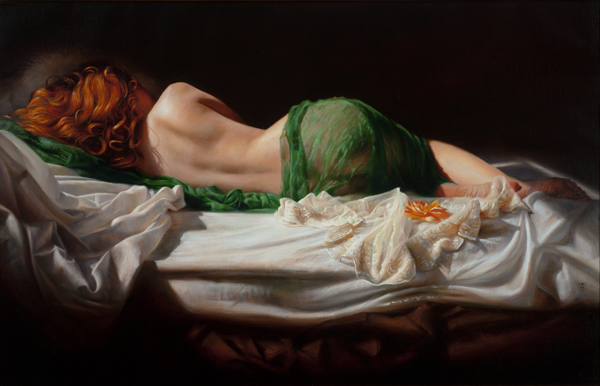 Currently, she is considered a leading contemporary realist. 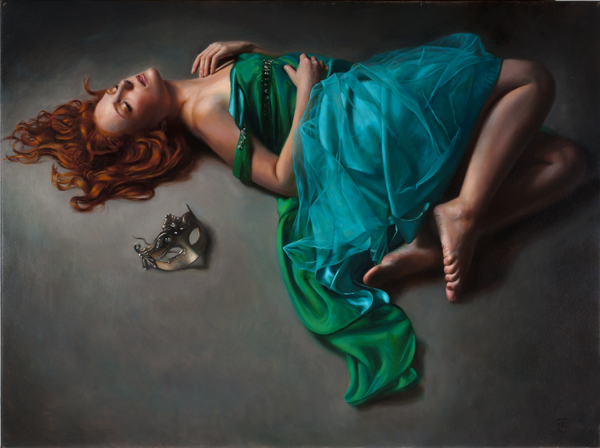 Tina Spratt was selected a finalist in the 2015 Art Renewal Centre Salon Competition (for Embrace, seen above) and also was shortlisted for the prestigious Figuritivas 15 competition at MEAM, The European Museum of Modern Art, in Barcelona, Spain. 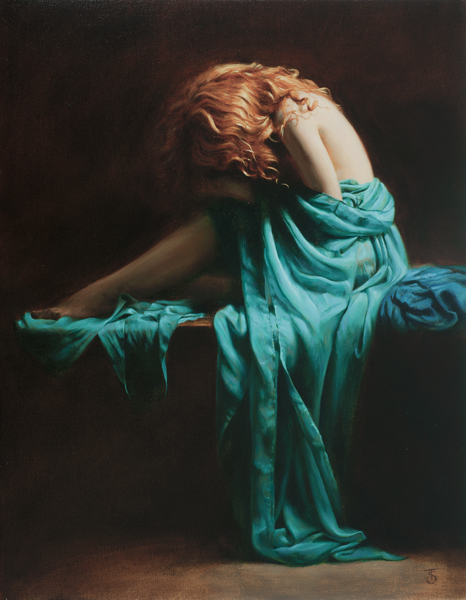 In addition, she received an honorable mention in The Pastel Journal‘s “Pastel 100” competition (in 2013, she won first place in the portrait/figure category). 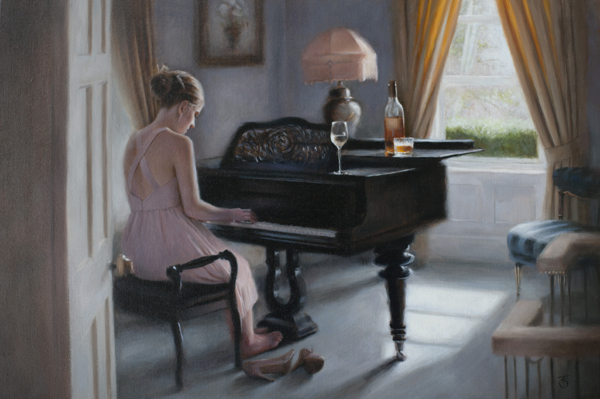 Tina Spratt is represented by galleries in the United Kingdom and the United States, and her work hangs in both countries in private collections as well as corporate collections, such as Standard Chartered Bank PLC. 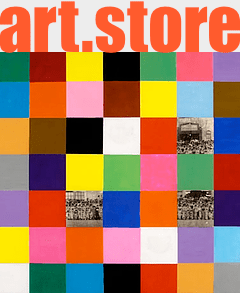 In 2016, Tina Spratt’s work can be seen in Taiwan in the “Annual Invited Art Master” exhibition, part of Art Revolution Tapei, an international art fair. Tina Spratt’s studio is based in Somerset, where she lives with her husband and two young sons, both of whom love drawing.